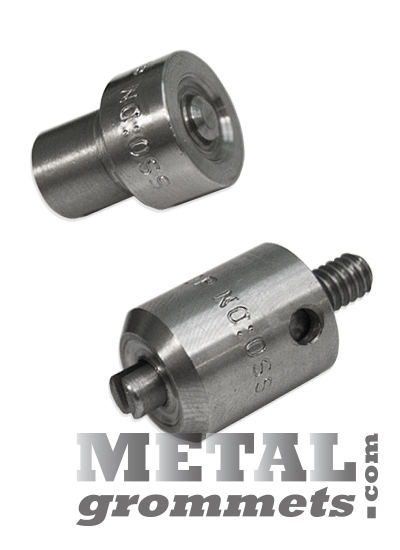 Our high-quality stainless steel self-piercing, SELF-CLEANING dies come as a set with a top die and bottom die. 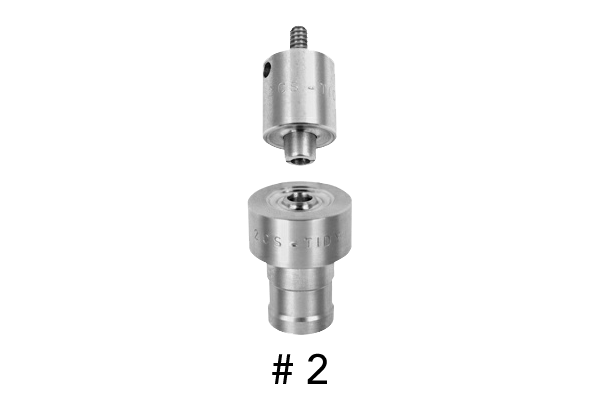 The top die threads in to the grommet attaching pneumatic machine and is spring loaded to hold the grommet securely in place before application. 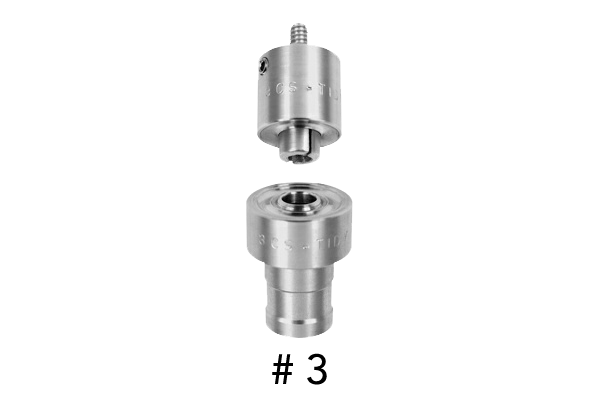 The bottom die locks in the press with a set screw and is used to position the washer below the work material. 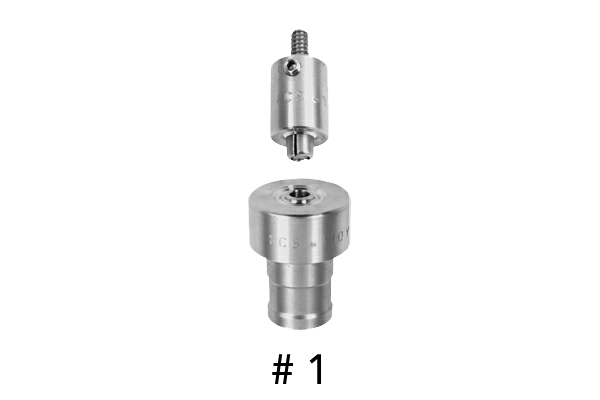 The bottom die has a hole which allows the scrap slug to fall neatly into a collection drawer during the attaching cycle (on most materials). 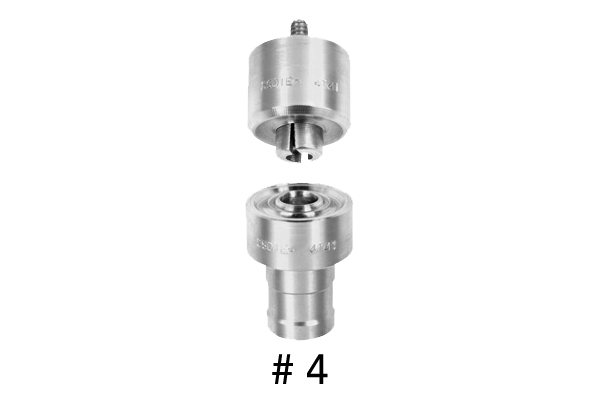 Made from professional grade stainless steel, the self-cleaning dies are currently available in #1, #2, #3, #4, #5 and #5.5. 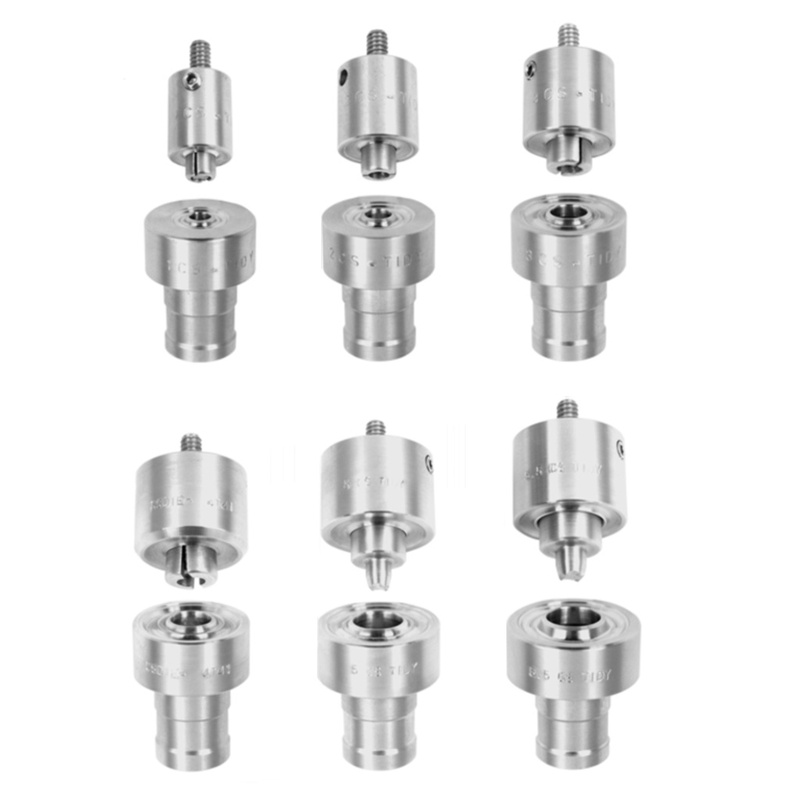 ClipsShop state-of-the-art production facility uses precision CNC milling machines and premium stainless steel to manufacture the top and bottom parts of self-cleaning, self-piercing CS-TIDY grommet attaching die sets. Buy grommets from METALgrommets.com, your source for ClipsShop non-rusting self-piercing metal grommets. 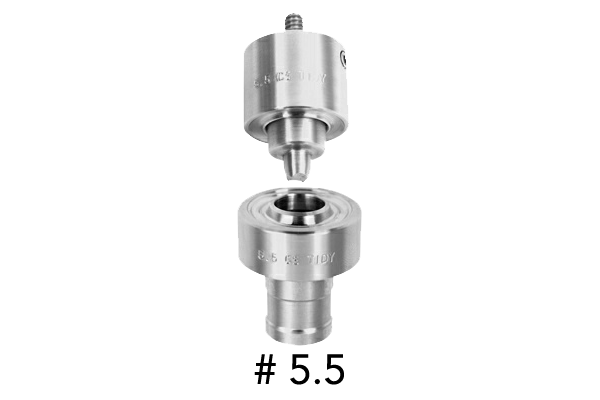 The CS-TIDY-41 pneumatic grommet machine can attatch all 10 sizes of ClipsShop self-piercing solid brass metalgrommets with standard ClipsShop self-piercing stainless steel setting dies sized from #XX00 to #5.5. Keep your work area neat and use the exclusive patented CS-TIDY self-cleaning grommet attacher dies with 6 popular grommet sizes. 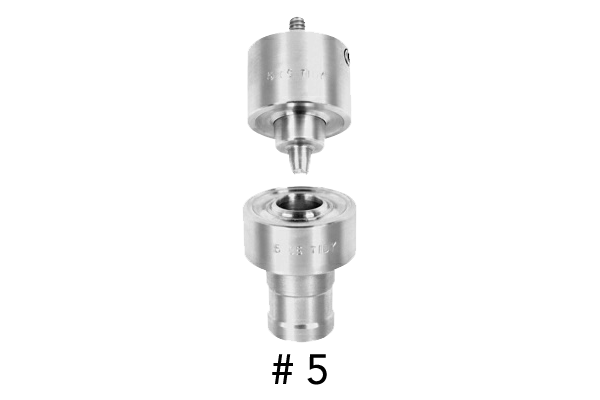 CS-TIDY pneumatic machines will also attach #7.5 (1" hole size) and #8.5 (1 1/8 ID) using the advanced technology of ClipsShop 2-step combination piercing & setting dies!